Being in the military means our family moves a lot-we usually average about two years in a home before the Army sends us on to another location (like our upcoming move to England!). I don’t mind moving a lot-it gives us the chance to see different places and meet new people and as an added bonus-we get to have that “new home” clean every other year or so. You know what I’m talking about-that bare-bones polished clean of a new home? 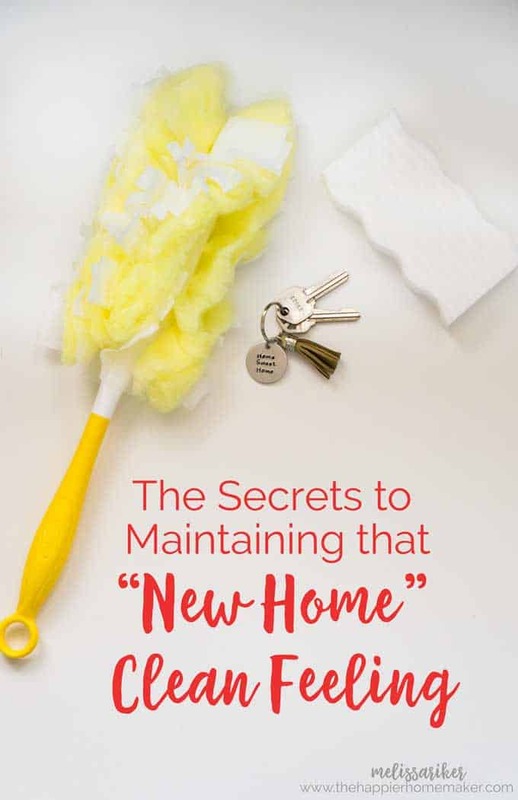 Today I want to share some tips with you for how to maintain a “new home” clean feeling in your home no matter how long you live there! Start as soon as you enter your home by removing your shoes. Wearing shoes in the home is a sure-fire way to track in dirt and grime. Place a pretty basket with some shoes in it to remind guests that you prefer your home a shoe-free zone. One of the biggest tips to maintain that new home clean is to be sure not to neglect those sneaky areas of the house that might be overlooked. 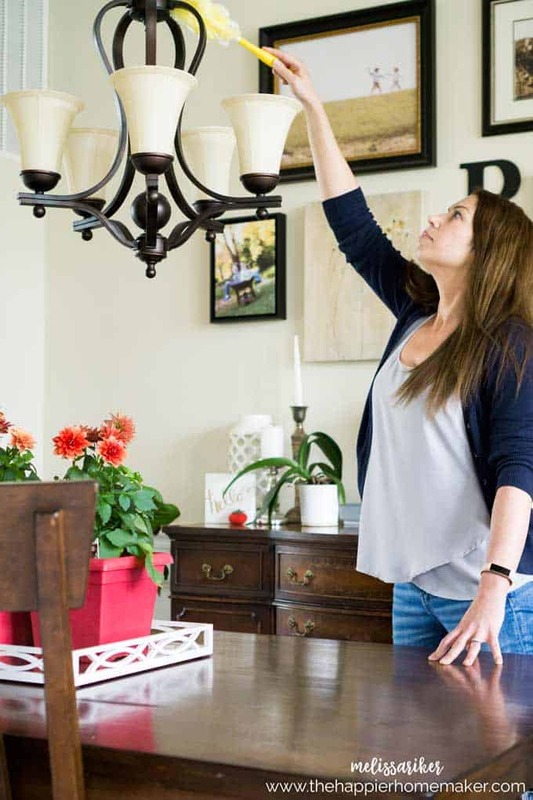 Don’t forget to dust and clean light fixtures and ceiling fans, clean air vents and base boards. I use a Swiffer Duster to get those hard to reach places in my home and Magic Erasers are excellent for scrubbing kitchen grime off of cabinets and other surfaces. Thank you to Swiffer & Mr. Clean for sponsoring this post, as always all opinions and ideas are my own and I only recommend products I love and use myself. 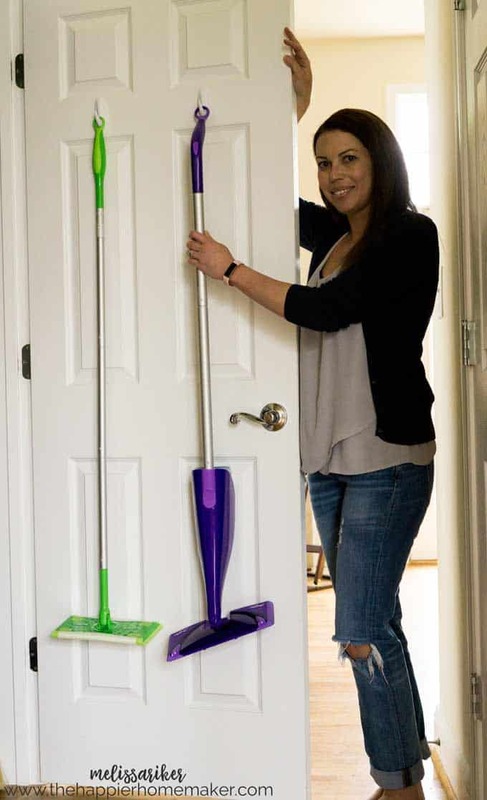 I love the idea of hanging the broom and mop on the back on the washroom door. So handy! Excellent idea of hanging the broom and back on the washroom. Even there are folding wipers available easy to store.